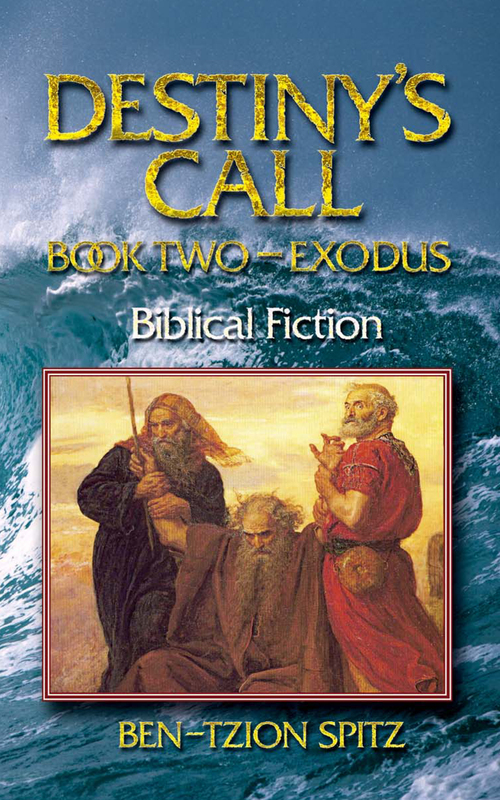 Ruth, Boaz and Ehud are on their way home, after their escape from Ashkelon, but are sidetracked by prophetic visions of the future. “What’s the problem?” Boaz asked gently. He sat in front of Ruth on the stallion, following her directions as they trotted slowly on the barely visible road. They had reached an unfamiliar crossroad. Ehud rode quietly behind them on his own horse. He pulled the reins of Amitai’s stallion, still carrying Amitai’s punctured body. In their rush to escape the Philistines of Ashkelon, they hadn’t even stopped to remove the arrows protruding from Amitai’s back. Boaz led them slowly on the dark road. They crossed a stream, the horses’ hooves sloshing in the shallow water and making pleasant crunching sounds on the river rocks. “Left,” Ruth announced. They followed the path of the stream eastward. “Let’s see what we can find.” Ehud dismounted and tied his and Amitai’s horses to a nearby willow. Boaz helped Ruth down from the stallion, dismounted and tied his horse next to Amitai’s, looking unhappily at the body of his beloved friend. “Do you feel it?” Ehud asked Boaz and spread out his arms. “Yes, the energy,” Boaz agreed, spreading out his arms as well. “The Cave of the Patriarchs also,” Boaz added. Ehud nodded his agreement and sat cross-legged on the ground, beside the meandering stream. Boaz and Ruth sat facing him on either side. Ehud closed his eyes and breathed slowly. After a few moments Ehud was in a trance. I am here, Lord, Ehud responded with his thoughts. What is this place? It is a Defining Place. The history of the Children of Israel will be shaped here. Touch their minds and I will show you. Ehud sent his thoughts to his two companions. Boaz and Ruth felt suddenly drowsy, closed their eyes and entered into a light trance. Boaz had felt God’s presence before, but Ruth shuddered at the new sensation. Her entire body tingled as she felt a presence at once foreign and familiar. The three of them saw a vision of a massive army arrayed on a mountain range. Across the valley, on an opposing mountain range, with just a thin gurgling stream dividing them, stood a smaller, rag-tag army of the tribes of Israel. Many years in the future, the Philistines will dominate the tribes of Israel, God’s voice echoed in their heads. God? Ruth asked in her mind, petrified. Boaz and Ehud could hear her thoughts as well as God’s response. Yes, my child. Do not fear. You have come under My wings and I shall safeguard you. My servants Ehud and Boaz have done well. And you, Ruth, are just beginning. A vision of a giant emerged from the ranks of the Philistine army. He had the looks and build of King Perath, but was at least twelve feet tall. He wore a heavy armor of copper that covered his entire body. Only his clean-shaven face could be seen under his helmet – his face and his eyes. Ruth recognized the eyes of Orpa in the gargantuan face. They were her own eyes. They were the eyes of their father, the cunning, vicious Eglon of Moab. Ruth shuddered and knew that no mortal force could destroy this monster. This was one of the warriors Sumahtrid had promised the Philistines and she understood immediately how the Israelites would cower before this giant. But a savior shall rise up from Israel, God continued. The vision moved to the Israelite camp. They saw the pavilion of the Israelite king, a tall man in armor with a long beard holding a sword in his left hand. A Benjaminite! Ehud thought with some excitement. Yes. A Wolf of Benjamin. He will perform mighty deeds, but for this giant only a Lion of Judah has a chance to defeat him. They saw a young shepherd enter the pavilion. He was a handsome redhead in a simple tunic. He reminded Ruth of Mahlon. Then she saw the young man’s eyes and recognized her own eyes staring back. They contained the intelligence, the cunning, the controlled ferocity that was her bloodline. But they were mixed with a humility and faith that made Ruth think of Boaz. This boy will overcome the giant? Ruth thought. Only with the help of all of you, and others that I will call on at the Defining Place. How, Lord? How will you do this? Boaz asked in his mind. How can we help someone that roams the world years after we are no longer here? These events are surely decades from now. Time and space are the fabric of my creation. Just as I can carry a man from one edge of the sea to the other, so too, I can take him from the beginning of time until its end. I have done this with your forefathers and I shall call on them once again. 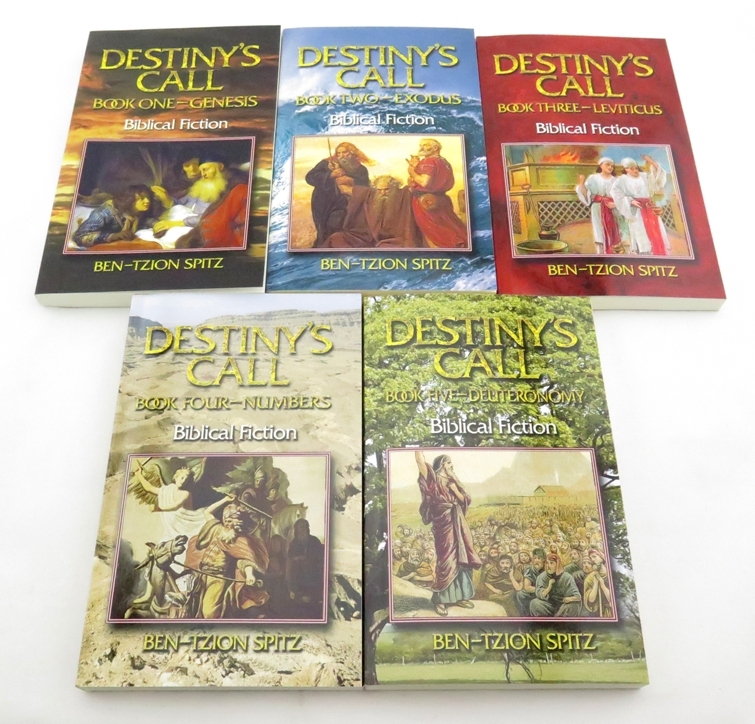 Boaz, you shall be in the company of your ancestors. What are we to do? Boaz asked. You will each give of your particular strengths, your unique attributes at the time of need. You will infuse your spirit into that of my beloved, of my young lion, and give him the strength he needs to defeat his foe. Only with your combined efforts might he succeed and set the course of Israel’s destiny. When will this be? Ruth asked. You will know when the time comes. God’s presence left them. The contact between the three broke and they fell to the ground, unconscious. Ehud was the first to reawaken with the coming of dawn. Boaz stirred, followed by Ruth. She looked around in a daze and saw the opposing mountain ranges from their vision. “We are in the Valley of Ela, and this is the road to Bethlehem,” Ehud answered. The blacksmith walked to the stream and absently started picking out rocks from the water. His experienced hands found the deadliest rocks for a sling-thrower. He thought of what God had said and of his own skills. Ehud was one of the best sling-throwers there ever was. He could knock a fruit out of a tree from inordinate distances, or kill a man with a single small stone. Ehud found five perfect stones and placed a small pile of them by the side of the stream together with a prayer. Boaz looked at Ruth with newfound respect. “God spoke to you,” he said. “We should go and attend to Amitai,” Ehud addressed Boaz and Ruth. “Yes. Zelda will be distraught, but I think Amitai was truly happy,” Boaz replied. The three mounted their horses with the rising sun and rode eastward to Amitai’s town. Ruth looked at the mountains of the Ela Valley on either side and recalled the vision God had shown her. She could remember the sound of the armies facing each other; the threat of destruction that the Israelites faced; the look of innocence yet determination in the redheaded shepherd, in the eyes so much like her own. A gust of wind filled the valley as the sun rose higher in the sky. Sound reverberated off the mountain walls. Ruth thought her ears might be playing games with her, but she swore she heard the echo of a roar. She shuddered and said a silent prayer. God, may I be worthy, may I have the strength to do what you require, though I don’t know what that is. I will be with you, was the silent answer.